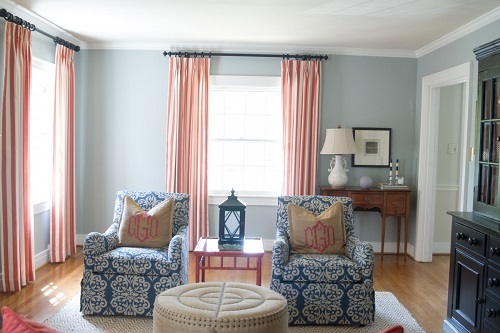 Are you looking for a store that specializes in window treatments in Lexington? Then, look no farther than Adelé, located in Chevy Chase. Adelé offers a wide variety of custom window treatments of draperies, side panels, roman shades and more. From the ease of finding the perfect fit for your home to the countless options that we provide to you as you’re searching for the perfect fit, Adelé goes to great extremes to make sure that you love the window treatments that you choose. Adelé offers a large selection of fabrics, colors and styles. All of our Lexington custom window treatments are designed and installed by professionals with years of experience in interior design. Adelé provides in-home consultations and design to determine the best look and solution for your window treatments. We help our clients to develop and design the best possible style and color for their window treatments. One of our interior design professionals will custom measure your windows for your home, discuss all possible options for window treatments and show you an extensive selection of styles and colors to suit your needs. From concept to completion, Adelé provides design services and measuring and we recommend highly qualified installers that specialize in hanging window treatments. Not sure what you need to accent your interior? The design professionals at Adelé can help you choose from a large selection of name brand blinds, shutters, shades, curtains and even automated window coverings. Adelé will come to your home and assist you in choosing from an extensive selection of custom window treatments with an almost endless collection of fabrics. We will work with you to match colors, finishes and fabrics of your existing décor. From traditional to contemporary, Adelé will help you merge great style with functionality. With so many different types of custom window treatments available today, selecting the perfect option for your home is a challenge Adelé is eager to meet. We delight in helping our customers pick out the perfect fabrics and trim to design a top treatment or drapery that will add just the right touch of color and softness to your room. Locally owned and operated, Adelé has been servicing Lexington and Central Kentucky since 2011. Whether you need sun control, privacy or just want to dress things up a little, Adelé can help transform your dreams and ideas into the perfect solution for your window treatment needs.